Why it is wrong to blame Mourinho alone for the mess at Man United. Just days after Pogba’s claims for Man United to ‘attack, attack, attack’ at home, the frenchman found himself stripped of Man Utd’s vice-captaincy. 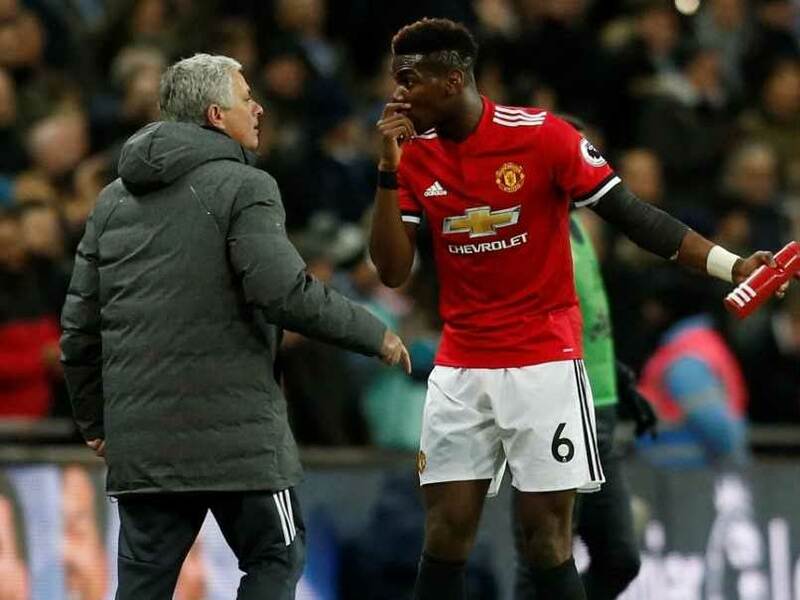 This move, to the outside world, was a clear indication of the deteriorating relationship between Paul Pogba and Jose Mourinho. If this was not enough, Man United’s shocking exit from the Carabao Cup at the hands of Derby County at Old Trafford was seen as nothing but another crisis at the famous Manchester club. The footage of Man Utd’s training did little to help this situation in which a war of words emanated between the Man Utd manager and Paul Pogba. There have been calls for the manager to be sacked. But the question stands…is the manager alone responsible for this mess? ‘No player is bigger than the club’. ‘The badge in front of the shirt is more important than the name at the back’. Is this true in the current scenario? Paul Pogba’s return to Man Utd was treated as a grand homecoming of a talented academy player. But did he see it that way? Or was it just another step toward his dream destination? Critics may argue about the former. Fans calling for Jose’s head may be correct in their own right, but Paul Pogba has not done anything to play down rumours about a move away from the club. Pogba had one too many opportunities to commit his future to the Red Devils, but every time he got a chance, he chose to keep mum in order to ‘avoid being fined’. After winning the World Cup this summer, Pogba started the season as United’s skipper owing to the absence of Antonio Valencia. A proud moment for any player who joins a club as an academy player and rises through the ranks. But did the arrogance of winning the World Cup overshadow his love for his ‘own’ club? Especially after the Wolves game where his error led to the equalizer, was it wise to blame the tactics for the result? Even if the real reason for the draw were the tactics, it is something for a player and a manager to discuss during training and not in the media. Pogba’s constant outbursts combined with Man United’s poor results surely suggest that he is equally responsible for the current predicament the club finds itself in. After all, one cannot say for certain that with Mourinho sacked, Paul Pogba will be a good boy again and commit his future to Man United. Pogba vs Mourinho – How things unfolded.